EdX is a non-profit online initiative created by Harvard and MIT. Currently, open edX is the world largest platform which provides online courses and MOOCs(Massive Open Online Courses). Open edX is supported by a large group of university, corporate companies. It has been used by many countries to provide free online education. Open edX have support to mobile to scale the accessibility to the technology. The LMS component in Open edX can be used by learners to access course content, including textbooks, videos, etc and can also check their progress in different courses. Course team members can use the Instructor Dashboard feature to enroll learners, generate reports and administer courses. LMS can be accessed through web browser there is no need of any additional software required. The studio tool of open edX helps you build your courses. You can use the studio to create a course and add videos and other content & resources for learners. The studio also helps you to add scheduler, grading policies and any other resource or activity which will be required to monitor learners progress. It also helps you to publish each part of the course separately. Discussion forums are used for interaction among students and between students and course staff. In this forums, student and staff use course discussions to share ideas, exchange views, consider different viewpoints and ask the question. E-Commerce is used to manage the edX product catalog and handle orders for those products. The e-commerce module is 3rd party project it is called Oscar that the Open edX team fully integrated into the platform like LMS and CMS. It has its own database, user list, password and so on. In some course, the learner is asked to write an essay in response to the topic or the questions that don’t have simple answers. These essay assignments are called an open response assessment(ORM). In open response assessment(ORM), learners submit essay responses and then go through a series of assessments to complete the assignment. Some of the assessments are peer assessment and self-assessment. It is analytics for course teams. It is used to access data gathered from active courses. We can display charts, summary statistics, and data tables. This data is aggregated by the edX Analytics Pipeline and, the aggregated data is exposed by edX Analytics Data API. Open edX Analytics Data API use RESTFul design principles and use JSON format to interchange data. It is used for getting course activity data of student. API can be used to get all type of data. Thank you, all the readers. We are planning to publish more blogs on open edX architecture & open edX complete installation, which will cover the details information about the different ways(Devstack, Native, Manual, Bitnami, Fullstack) of installation and which one you should go with, till then keep reading. If you have any query or want more information on open edX or Moodle, contact us today at +1-484-876-1867 or send us a message. Rahul Rai is a web developer. He has experience in various technologies like Java(Spring, Hibernate, Web services, Restful ), Python(Django), Hadoop, PHP, Microsoft Azure, Amazon Web Services(AWS). 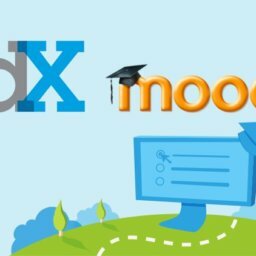 Open edX and Moodle both are used for online learning and both are also open source platforms. Open edX and Moodle follow both are different types of approach as educational approaches and business models.